There’s more to this than soft sands and rolling waves. It’s the way you feel when your lungs fill with salt air and the possibility of a day all to yourself. Or the sensation of the warm sun as it evaporates tiny drops of ocean from your skin. There’s the echo of birds and laughter that cause you to wonder what you’ll see when you open your eyes. You might be dreaming, you might be feeling this for the first time in a long time. You might be more yourself than ever. The city is home to several points of interest in the historical, scientific, and performing arts areas, and has become a popular tourist destination in recent years. The Virginia Aquarium & Marine Science Center (formerly the Virginia Marine Science Museum) is a popular aquarium near the oceanfront that features the 300,000-gallon Norfolk Canyon Aquarium, containing sand tiger, nurse and brown sharks, as well as sting rays and other large open-ocean dwellers. There is also a 70,000-gallon sea turtle aquarium, sea turtle hatchling laboratory, hands-on ocean exploration exhibits, jellyfish and octopus aquariums, and even a life-size model of a humpback whale. Other features include the Owls Creek salt marsh and a nature trail. The Verizon Wireless Virginia Beach Amphitheather features a wide variety of popular shows and concerts, ranging from Kenny Chesney to Gretchen Wilson to Coldplay to Ozzfest. The Sandler Center, a 1200-seat performing arts theatre, opened in the Virginia Beach Town Center in November, 2007. Two lighthouses at Cape HenryVirginia Beach is home to many sites of historical importance, and has 18 sites on the National Register of Historic Places. Such sites include the Adam Thoroughgood House (one of the oldest surviving colonial homes in Virginia), the Francis Land House (a 200-year-old plantation), the Cape Henry Lights and nearby Cape Henry Light Station (a second tower), Bayville Farm, DeWitt Cottage, Ferry Farm Plantation, Dr. John Miller-Masury House, Adam Keeling House, Old Donation Church, Pembroke Manor, Pleasant Hall, Shirley Hall (Devereaux House), Thomas Murray House, U.S. Coast Guard Station (Seatack), Upper Wolfsnare, Weblin House, and Wishart Boush House, and Wolfsnare. Virginia Beach is an independent city located in the South Hampton Roads area in Virginia, on the shores of the Chesapeake Bay and the Atlantic Ocean. It is the most populous city in Virginia and the 41st largest city in the United States, with an estimated population of 435,619 in 2006. Virginia Beach is the easternmost of the Seven Cities of Hampton Roads that make up the core of the Virginia Beach-Norfolk-Newport News, VA-NC MSA. This area, known as “America’s First Region”, also includes the independent cities of Chesapeake, Hampton, Newport News, Norfolk, Portsmouth, and Suffolk, as well as other smaller cities, counties and towns of Hampton Roads. 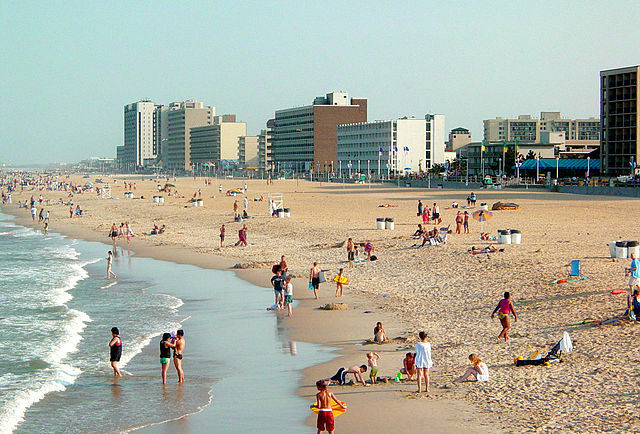 Virginia Beach is best known as a resort, with miles of beaches and hundreds of hotels, motels, and restaurants along its oceanfront. Every year it is host to the East Coast Surfing Championship as well as the North American Sand Soccer Championship that attracts teams from around the world. It is also home to several state parks, several long protected beach areas, three military bases, a number of large corporations, two universities, and historic sites. Near the point where the Chesapeake Bay and the Atlantic Ocean meet, Cape Henry was the site of the first landing of the English colonists bound for Jamestown on April 26, 1607. Make a detailed list of purchases before you get to the customs. It is much easier. Save your receipts.